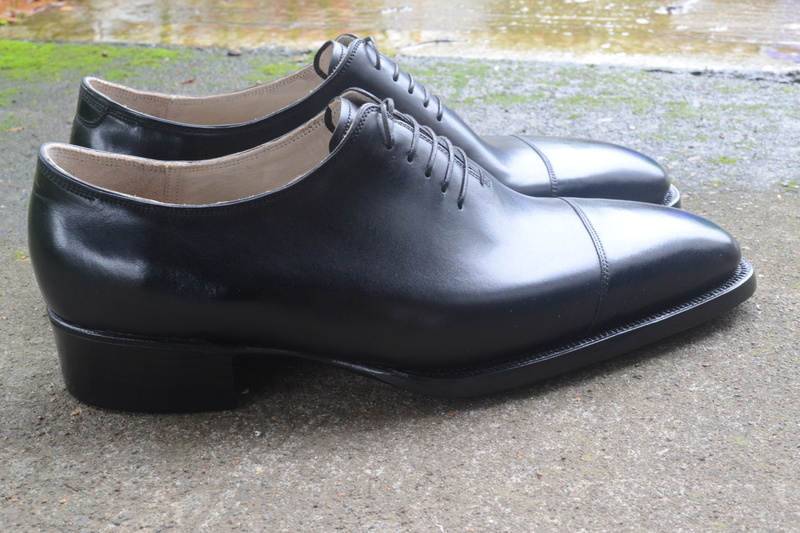 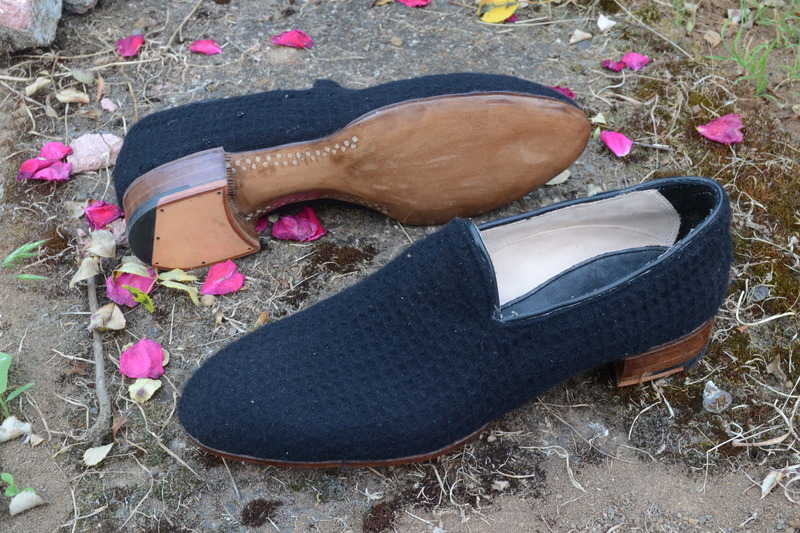 Wholecut with cap-toe in black calf from Haas. 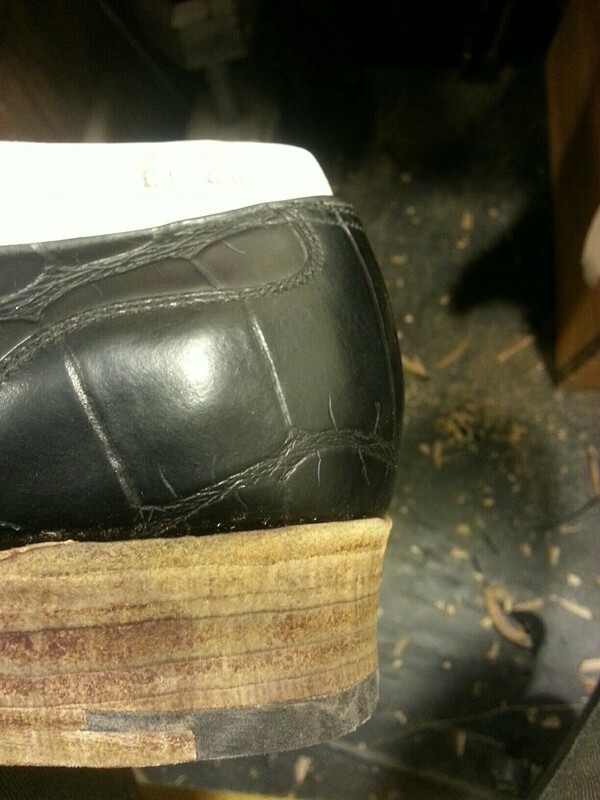 This is the first time this client will ever have had an oxford where the laces are closed, due to abnormally large instep and a bone spur. 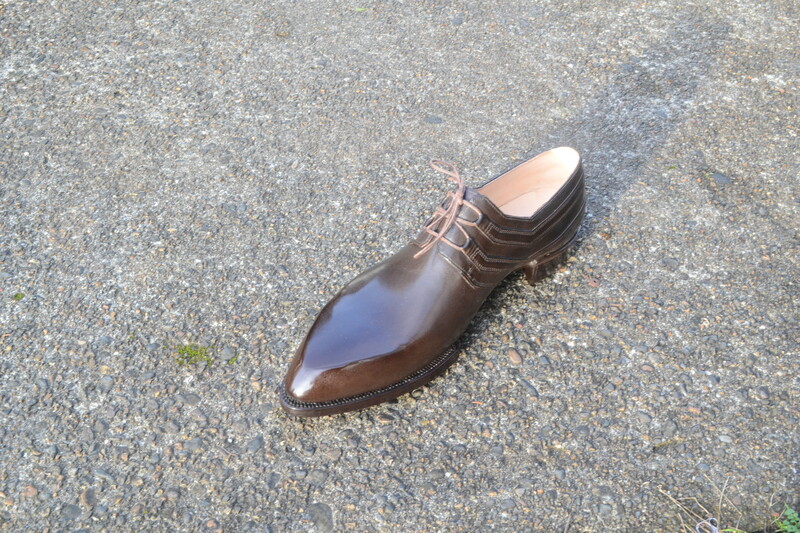 Just one of the many advantages of bespoke footwear. 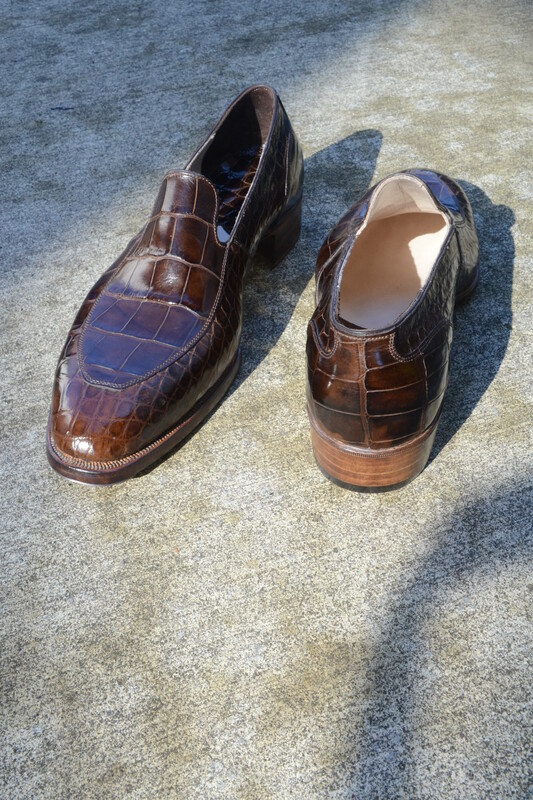 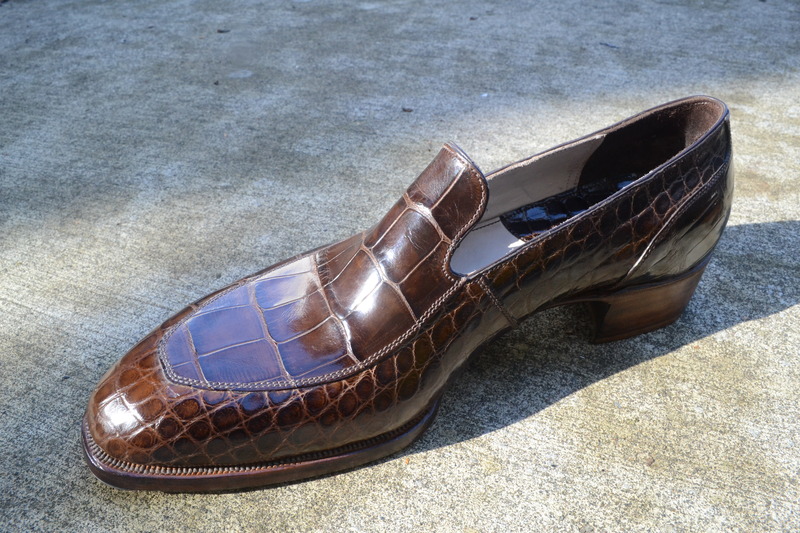 Brown patent crocodile leather with natural edge finish, soles sewn 16 spi. 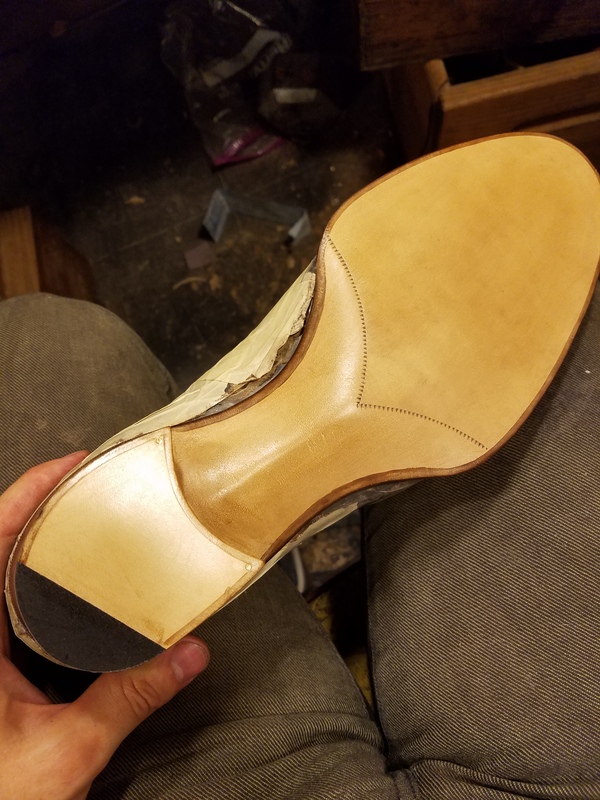 Natural bottom finish with fiddle back. 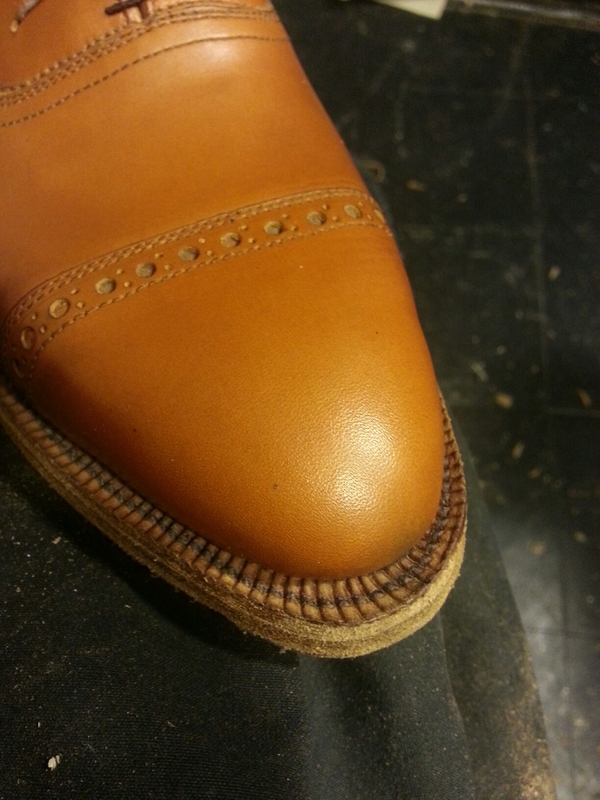 Natural edge and welt, soles sewn 10 spi. 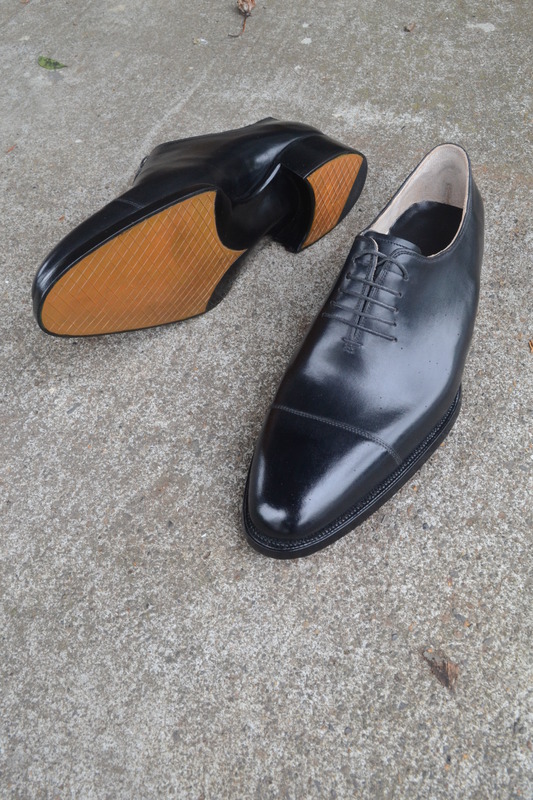 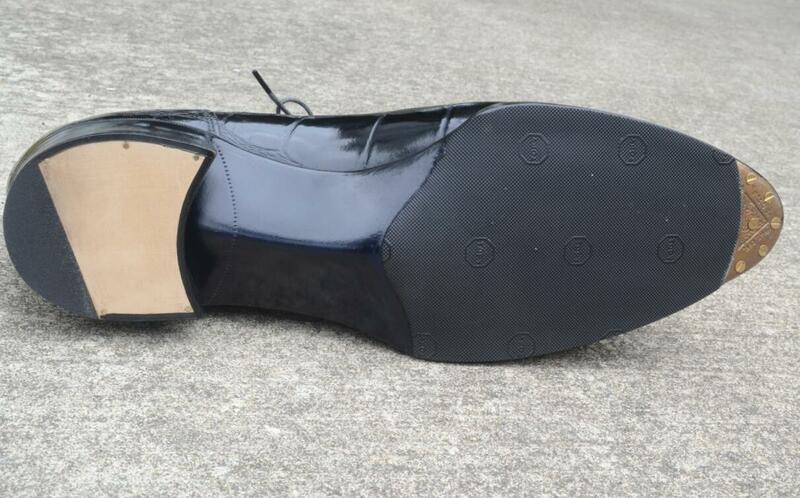 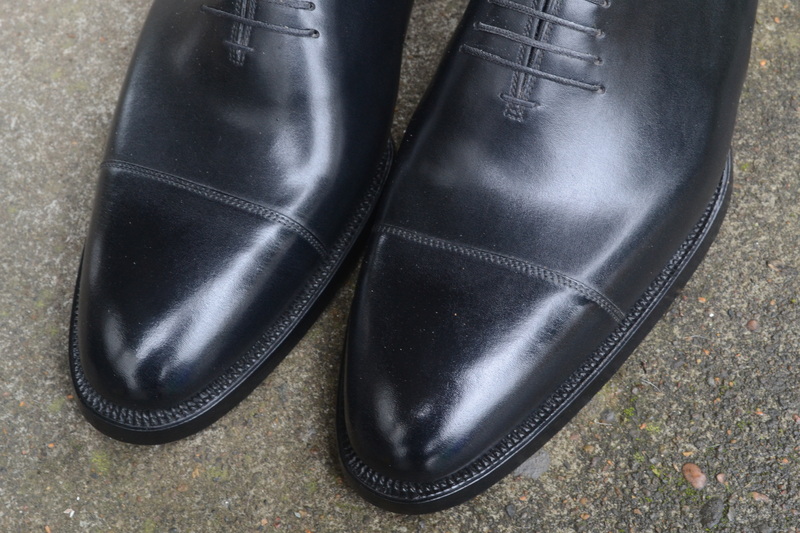 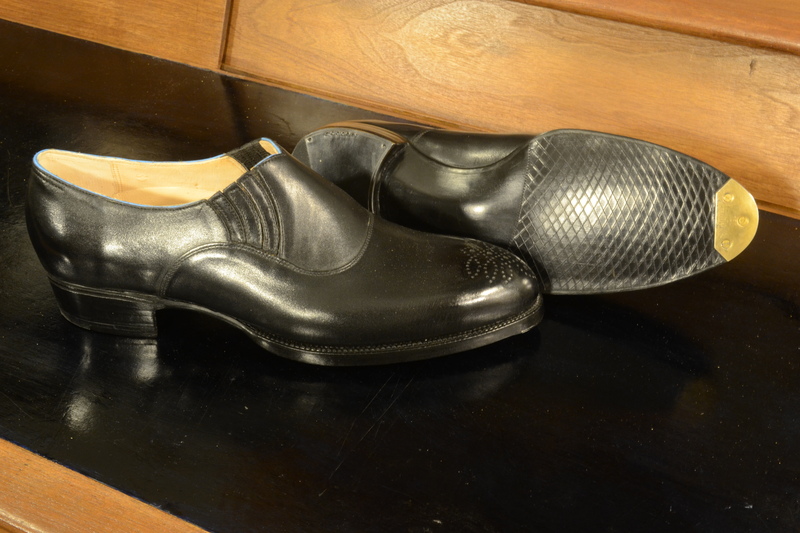 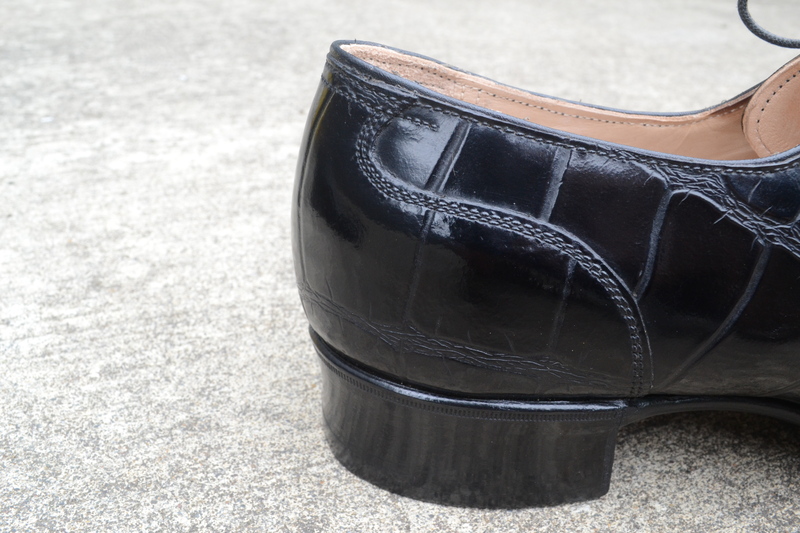 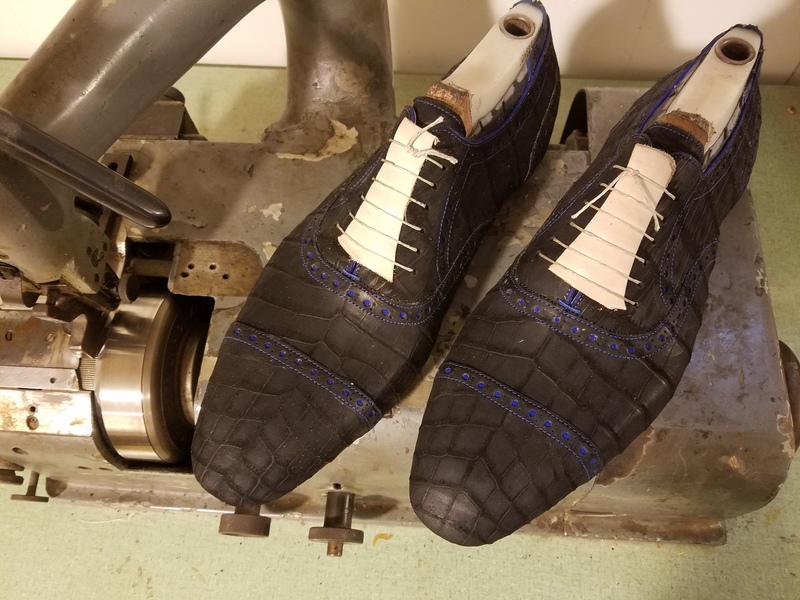 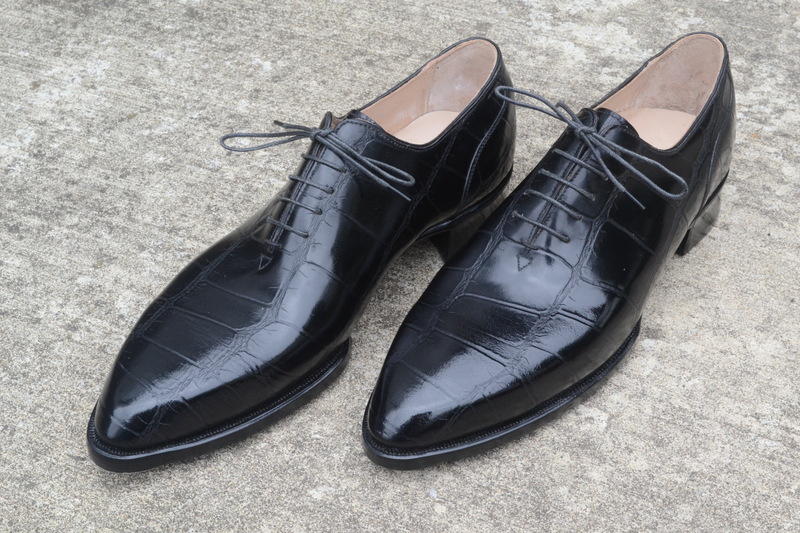 Black alligator Oxford on pointed toe last with navy blue fiddleback waist, rubber protective soling, and metal toe taps. 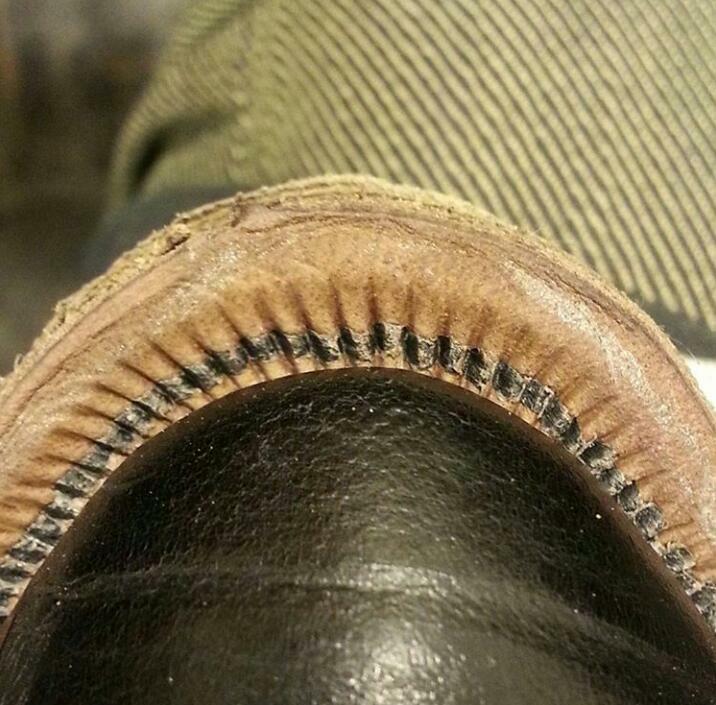 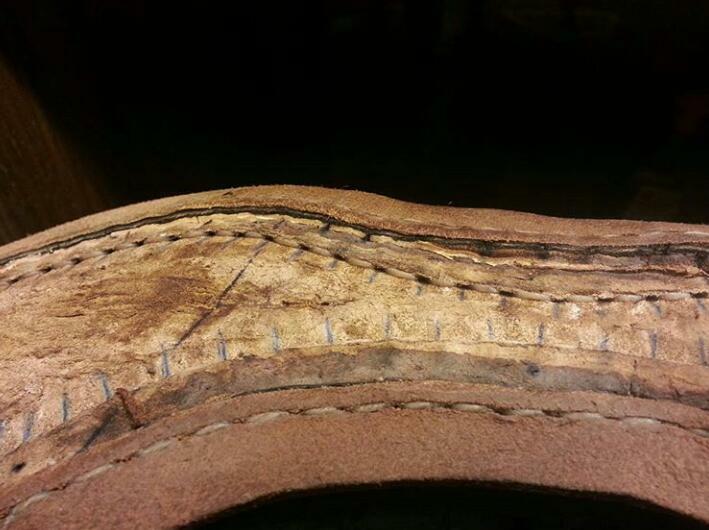 Sole is sewn at 16 stitches per inch. 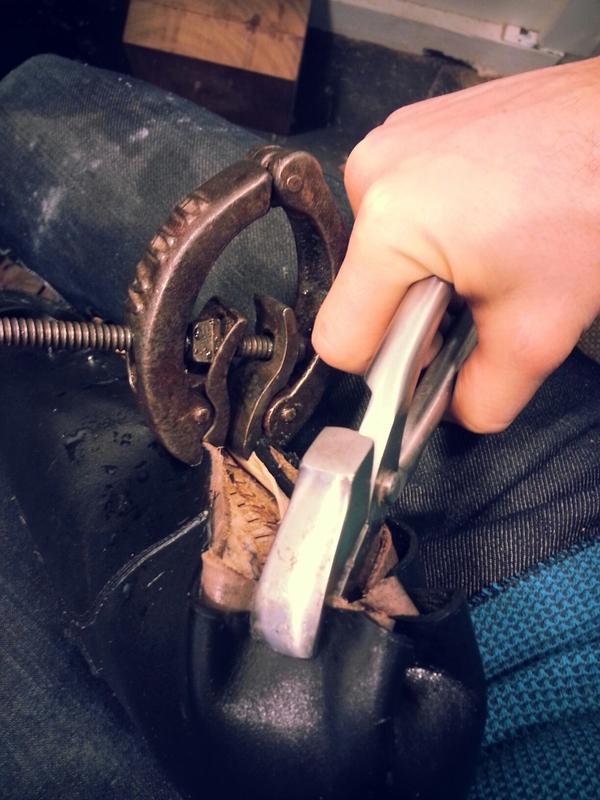 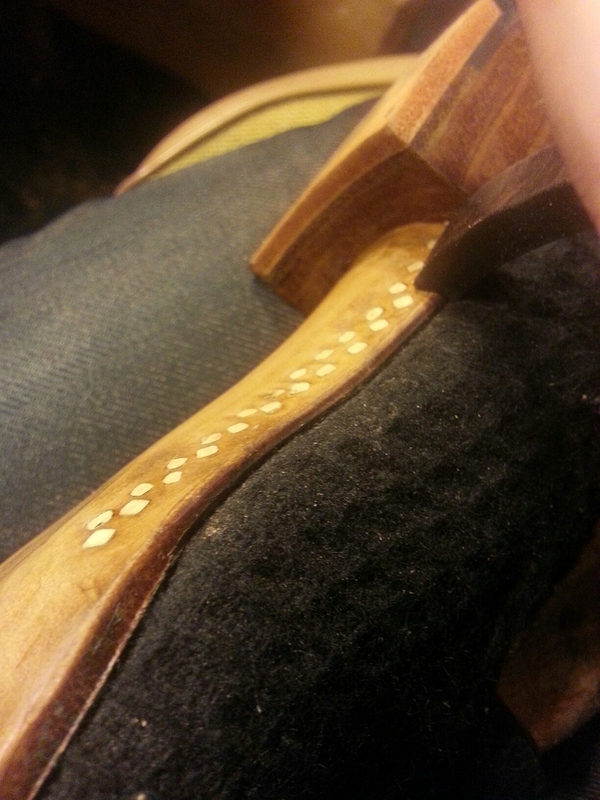 Heel lifts attached with Hirschkleber paste and pegs. 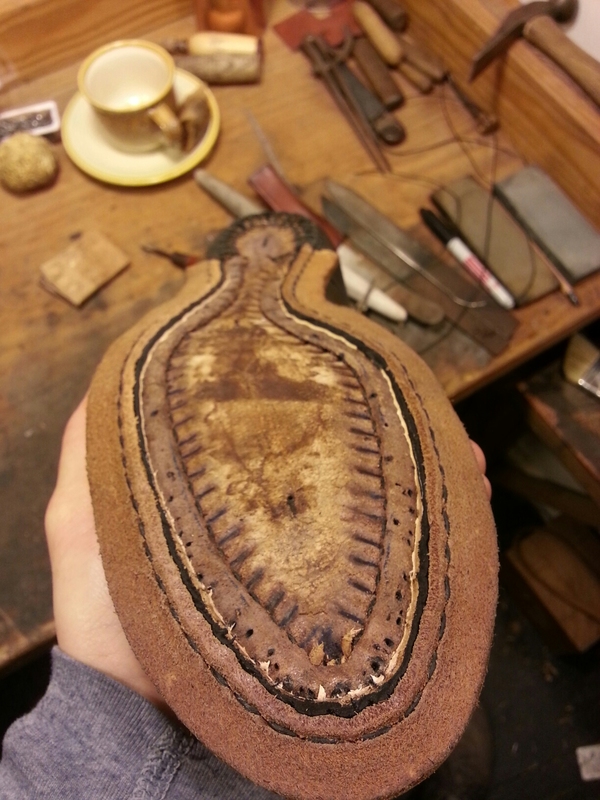 The shaping is done with a knife, hammer, rasp, and sandpaper to finish. 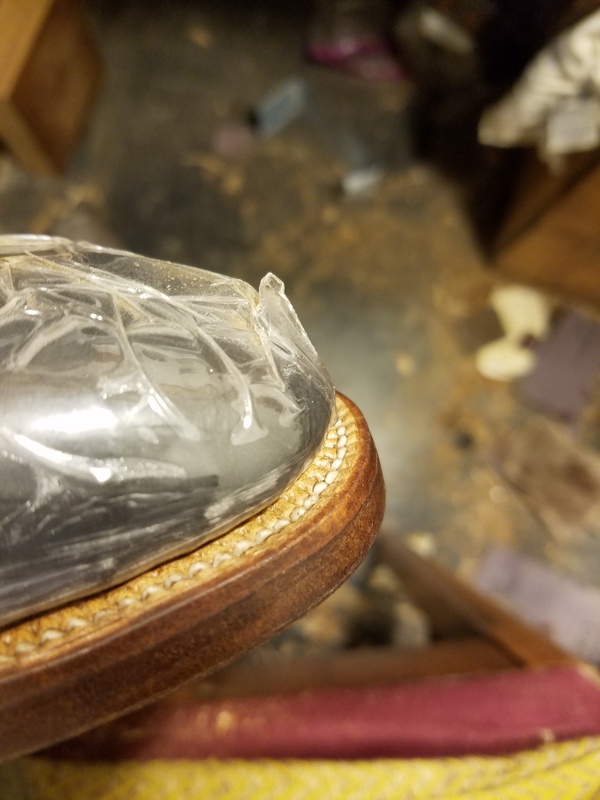 This boot took four fittings, but the final result was a glove like fit. 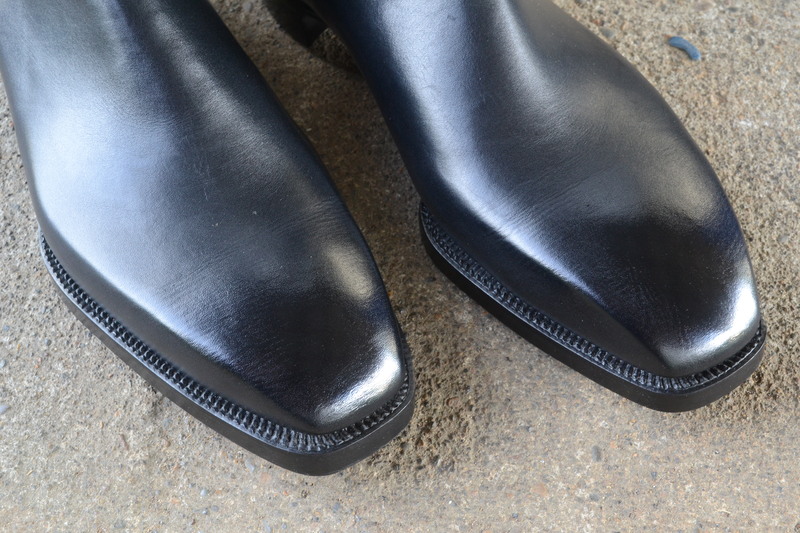 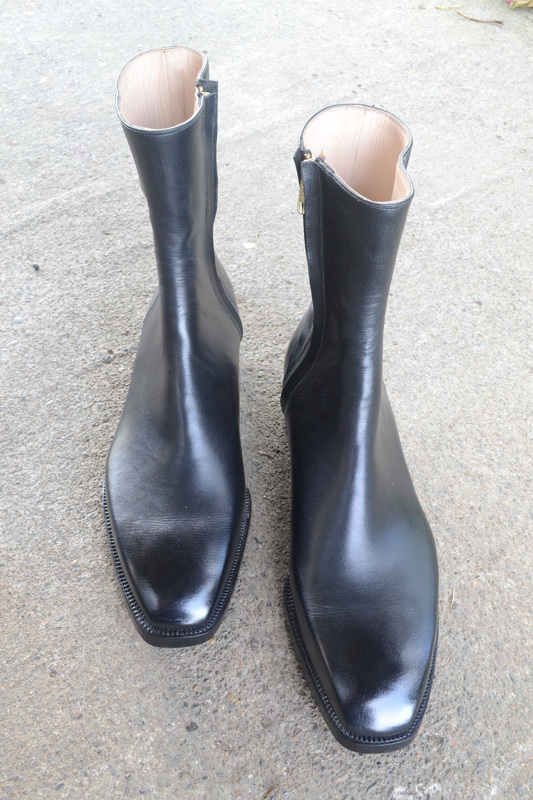 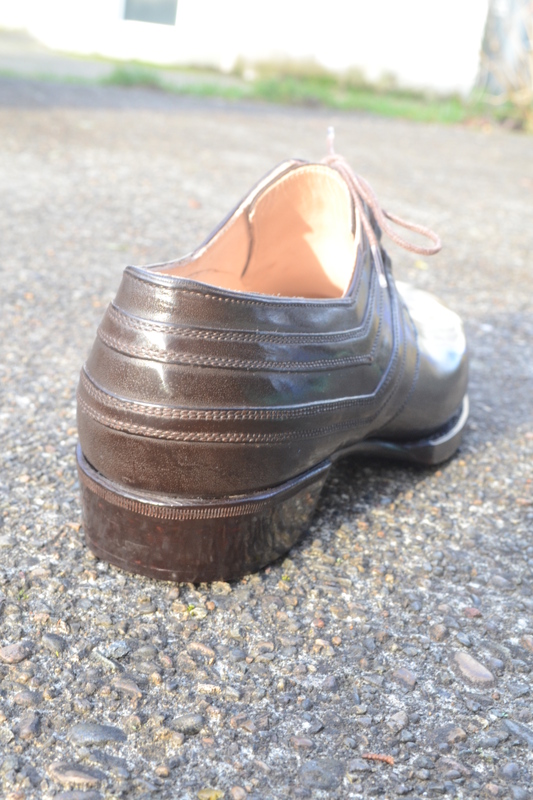 Upper leather is black calf from Haas and English veg tan calf lining. 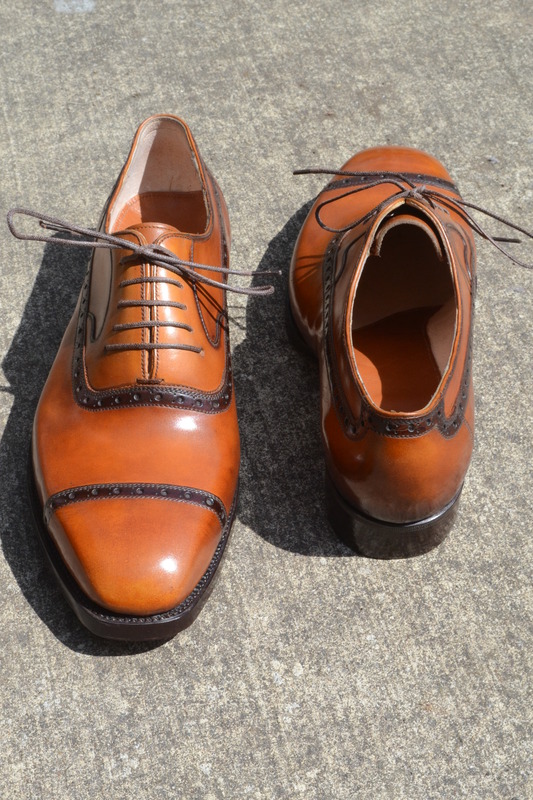 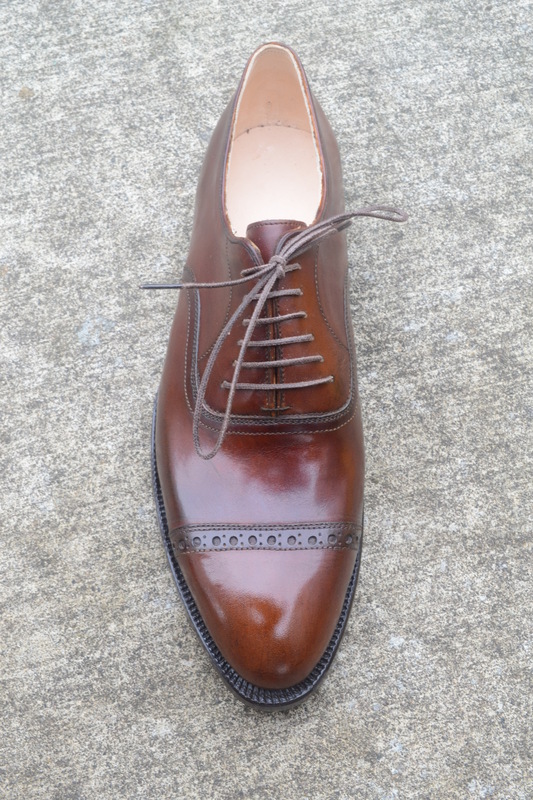 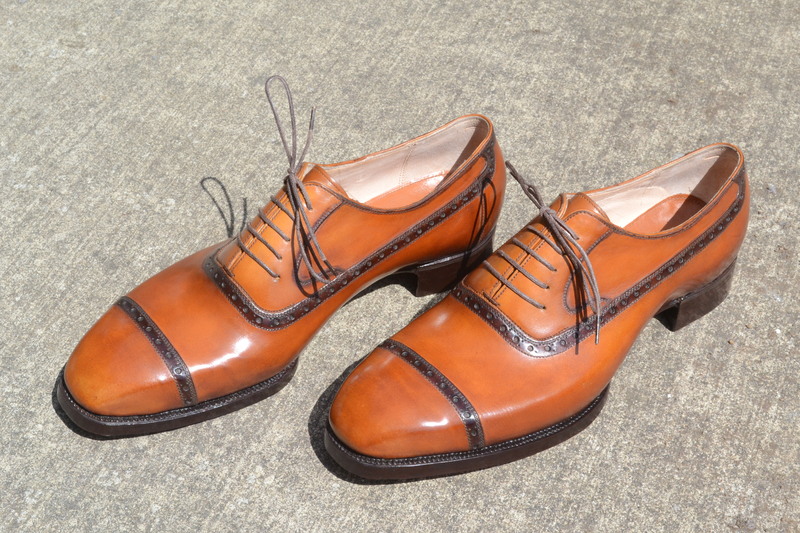 Balmoral Semi Brogue with patina effect on Spanish calf upper and English calf lining. 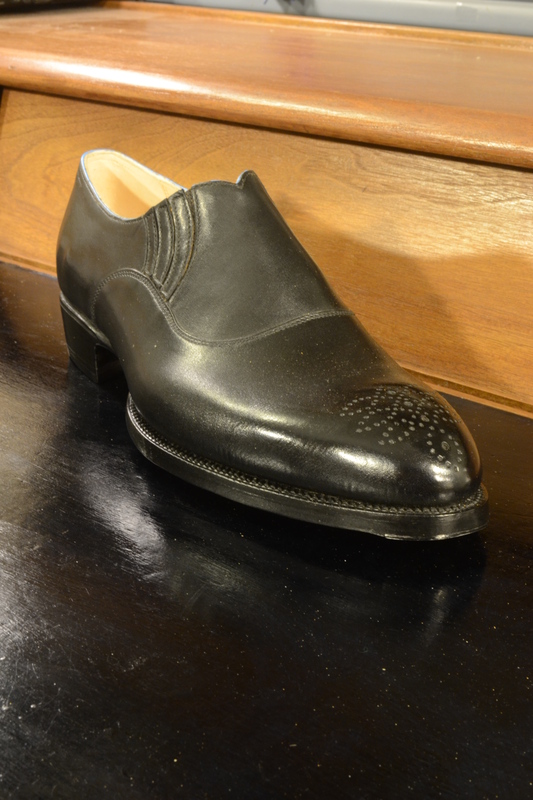 The soft chisel toe and swan neck facing details help keep a classic feel. 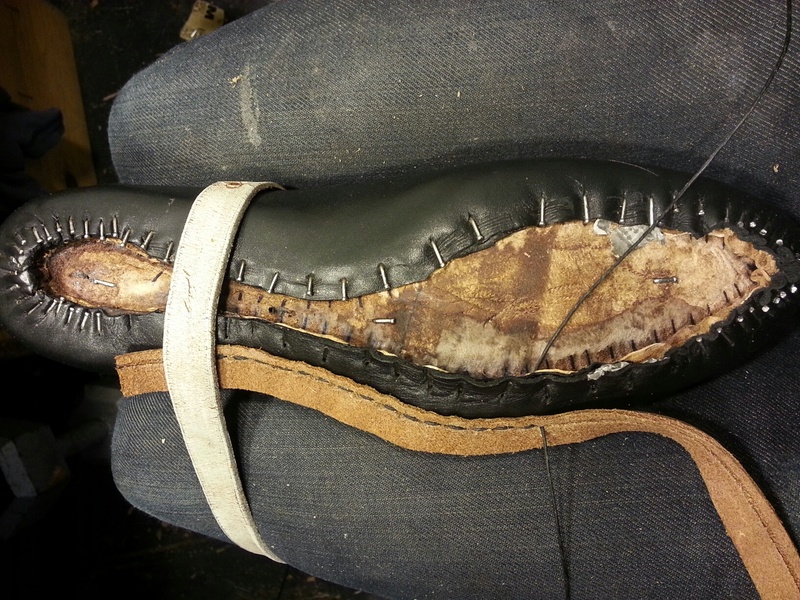 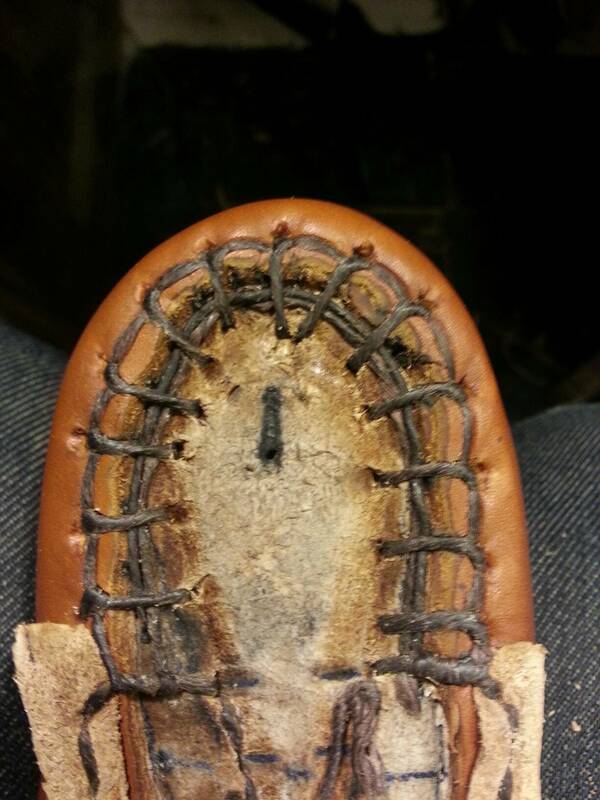 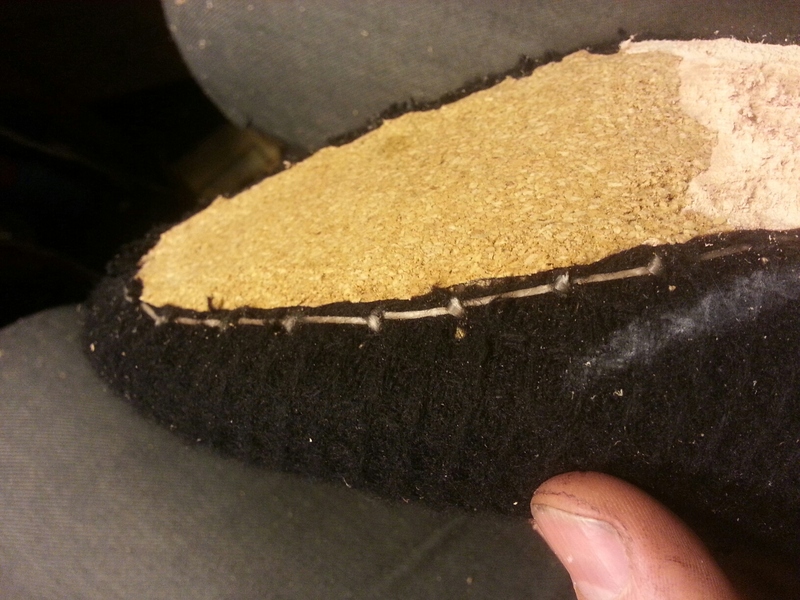 Stitching the outsole to the upper and insole, the slipper stitch. 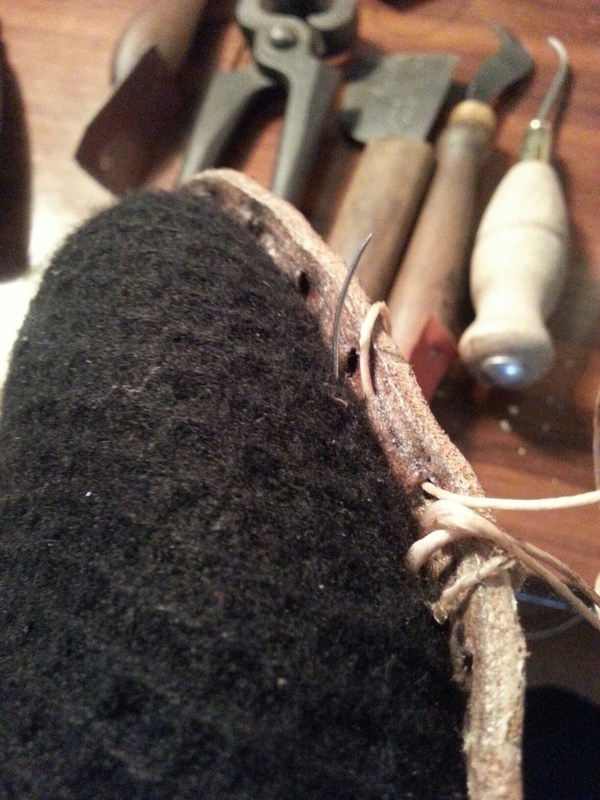 The pegged beveled waist on a slipper is unconventional, but beautiful.